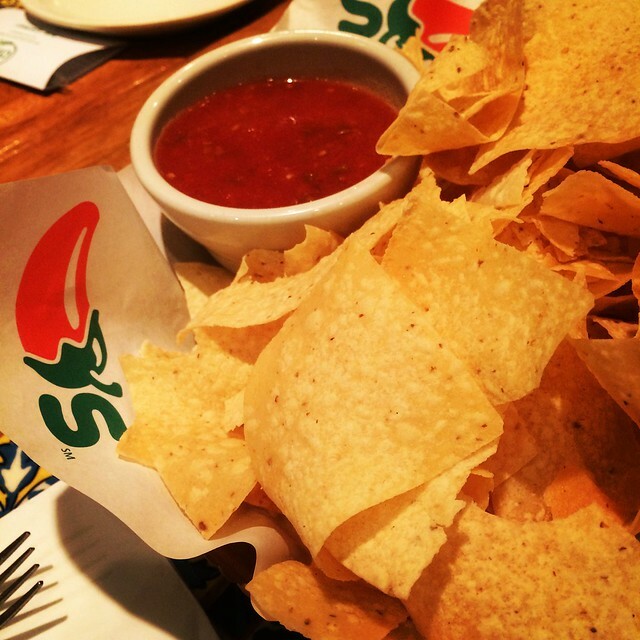 The Food Alphabet and More: Chili's Your Way! Just the way I like it! 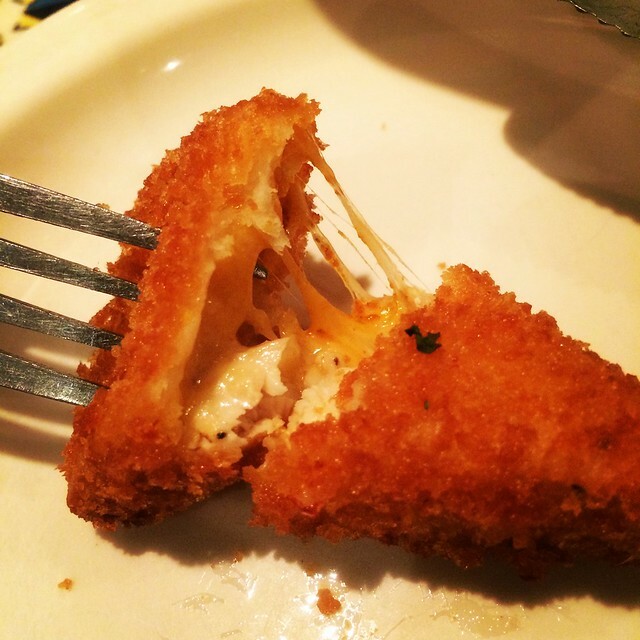 Let's start the good times with our appetizer, the Fried Quesadilla Bites! 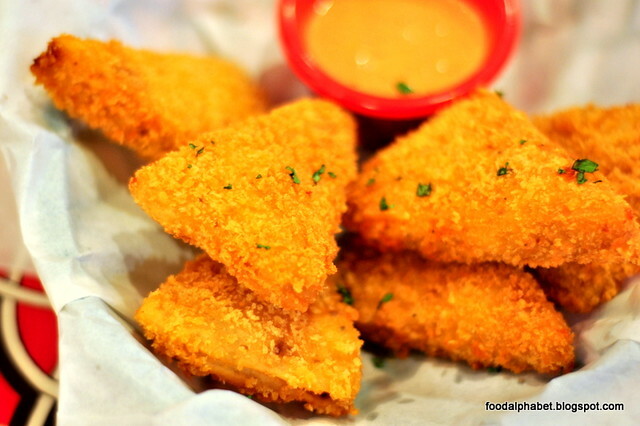 These triangular shaped babies are the bomb! Literally! Deep fried to a golden brown, bite into the crisp outer shell, then find your way to oozing Southwest chicken and cheese, sprinkled with bits of cilantro and served with chipotle sour cream. I was kinda surprised that it tasted better than I expected, a kick of spice comes in as you take a munch out of these tortilla nibblers. I would love for this item to be a part of the regular menu, so better order some, you won't be disappointed. Can't decide whether to give in to bacon or steak? Well this dish has got it all planned out for you. It's the ultimate in meat cravings, getting the best of both worlds, steak and bacon! 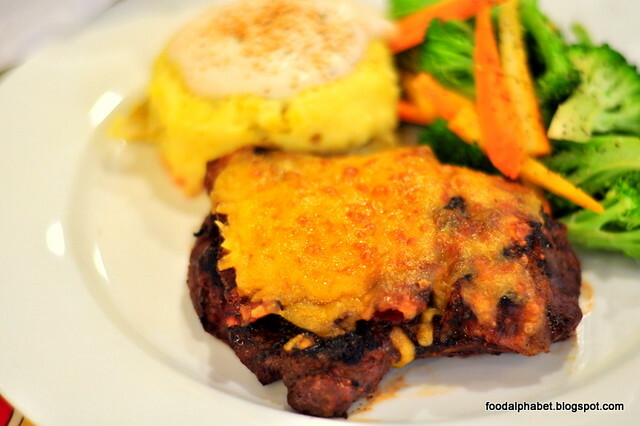 Meat lovers paradise, indulge in succulent Southwest seasoned steak topped with bacon and melted cheddar cheese, oooh so sinful. 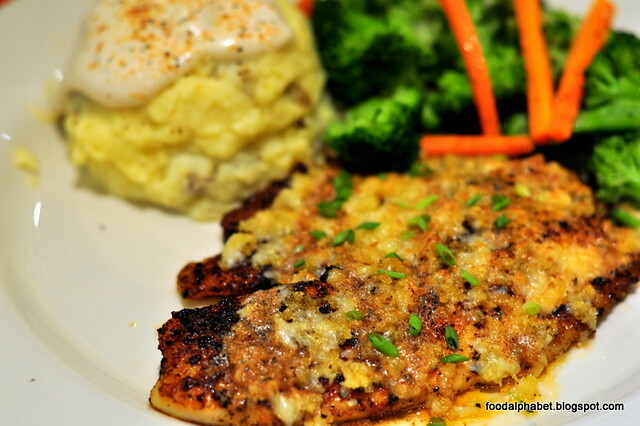 Now comes a surprising yet unbelievably flavorful piece of heaven, the Parmesan Tilapia. 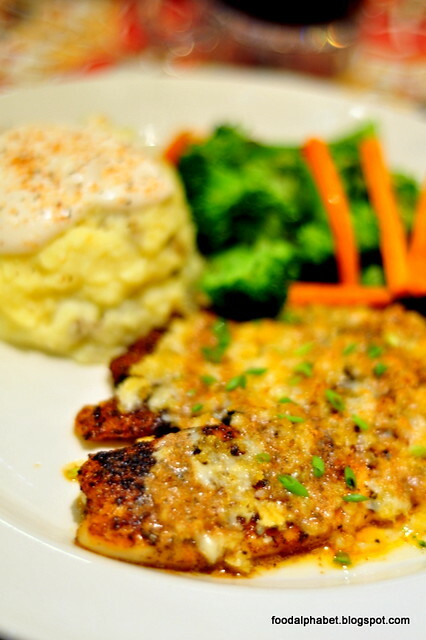 Using only imported Tilapia, flavored and textured together, crusted with Parmesan and Monterey Jack chesse, is by far one of the most delectable dish I have in my life. Some may find it a tad salty, but that's what makes it so flavorful. Well, I would say this is the perfect balance of healthy and flavorful, who would Tilapia tasted this good. If you are not a fish person you may opt to try their chicken version as well. All three dishes come with a choice of two sides, hence "Chili's your way". Pick the perfect match to suit your palate, choices include homestyle fries, corn on the cob, Chili's cilantro rice (highly recommended), and fresh veggies to the usual steamed white rice, mashed potatoes and broccoli spears. 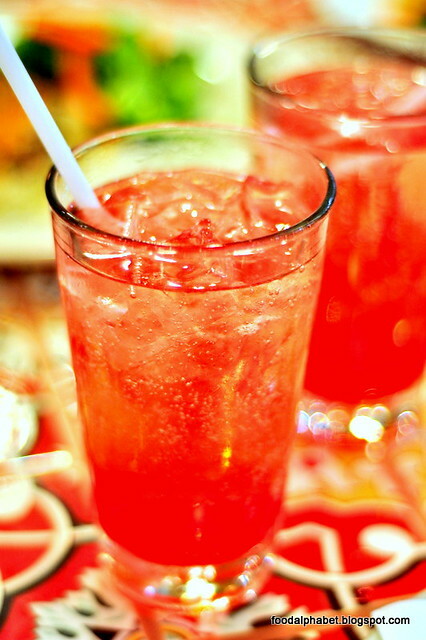 To quench your thirst, do try their Sparkling Soda in fruity and refreshing concoctions of strawberry puree and soda that's a certified must-try on your upcoming visit to Chili's. Admit it! You would tried this once at least in your life, if not, "Where have you been all your life", seriously, you really must order this whenever you are at Chili's. Share it with friends, family, throw in a few beers and you are set for the night. So make your next trip to Chili's and enjoy Chili's Your Way! Indeed More Life happens at Chili's! See you there!